It’s not just the inside of Disney’s Hollywood Studios that is undergoing dramatic changes, it’s the entrance experience too. 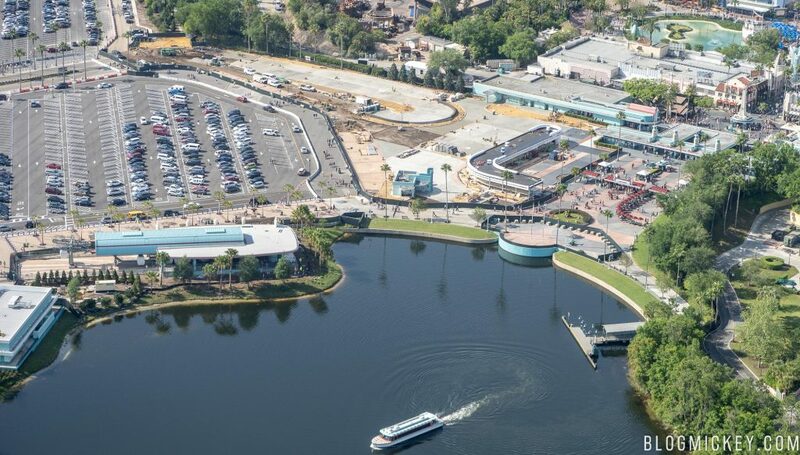 We recently flew over Walt Disney World to get a unique perspective on projects such as the entrance overhaul, Star Wars: Galaxy’s Edge, and more. Let’s take a look! We’ll start with the updated bus loop. 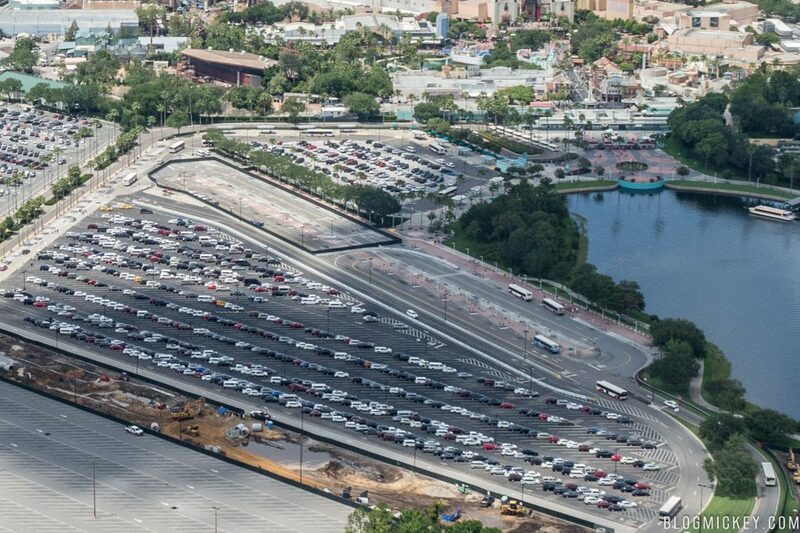 Disney recently opened all of the new bus loop stations seen below. Here’s what the area looked like before the construction. 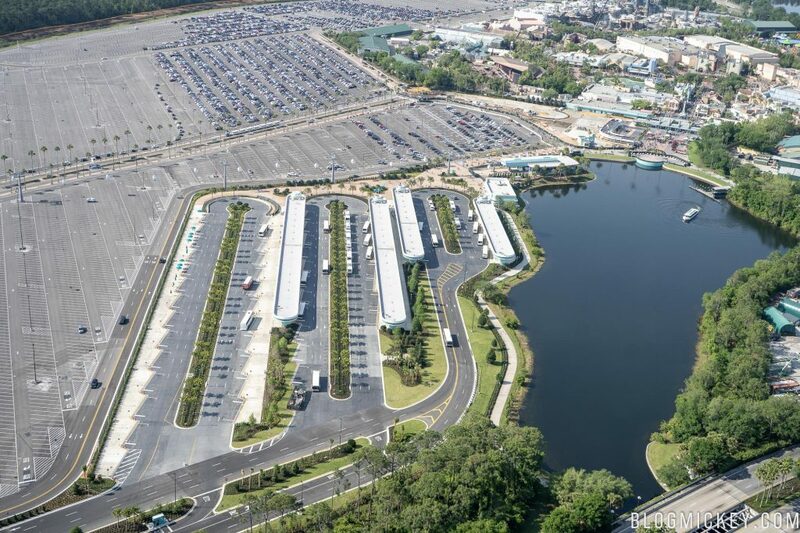 The photo below was taken in June 2017, while Disney was in the process of removing the parking lot canal on the bottom of the image, and before they had started construction on the Disney Skyliner project which would take over the cluster of trees seen in the middle of the image. Here’s a look at the work on the entrance overhaul so far. 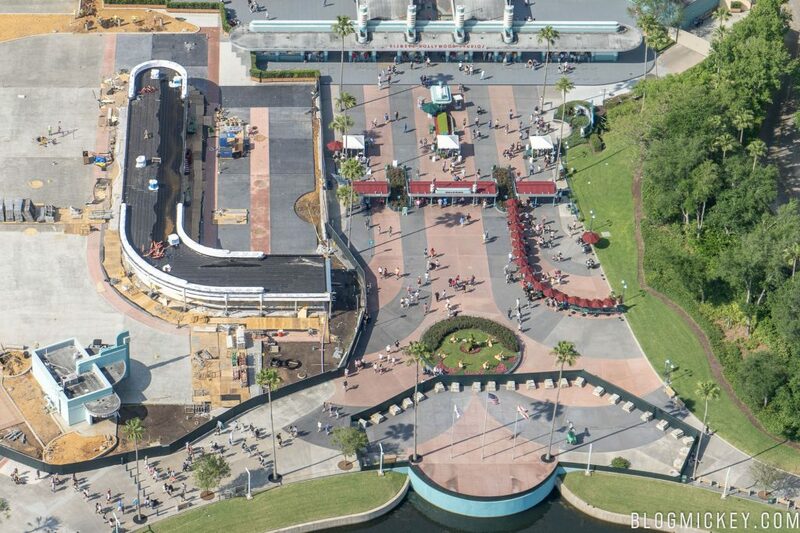 In the image below, you can see the Disney Skyliner station on the left, the new parking tram loop in the middle, and the bag check area to the right. 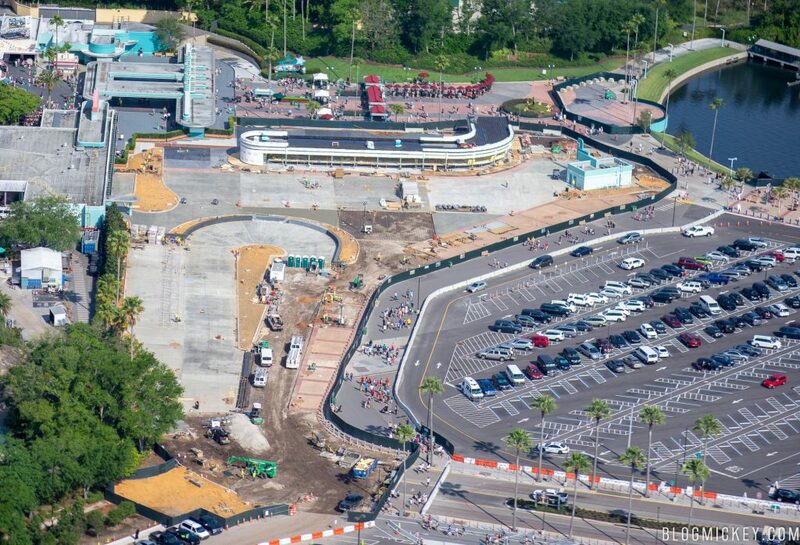 Let’s shift our attention to the new parking lot tram loop. The loop appears to be nearing completion, hopefully it will be in use in the coming months. 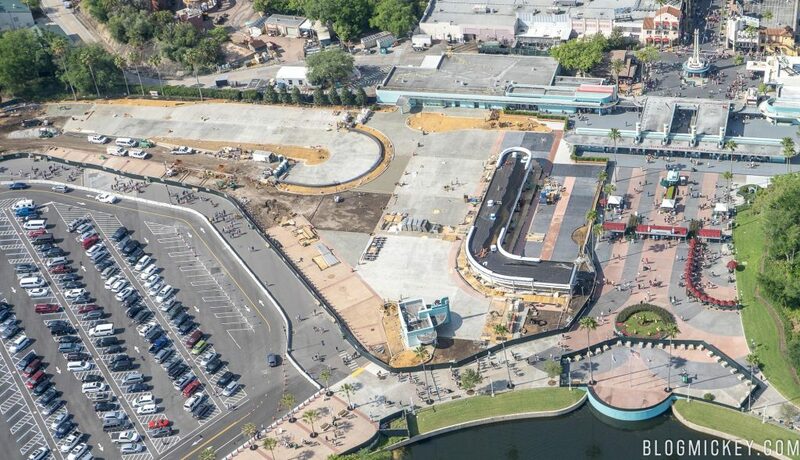 Let’s take a look at the huge bag check expansion project. From the air, we can see just how big of an expansion this really is. The current bag check can be seen in red, with the extra section to the right in use only during high traffic times. When the expansion is completed the structure on the left will extend to the grassy area on the right. As a result, the Sorcerer Mickey topiary is being relocated. 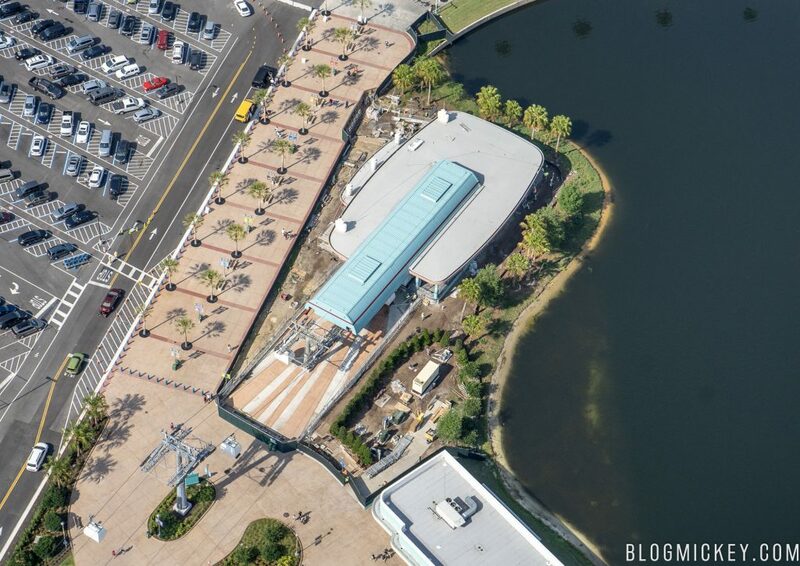 Finally, here’s a look at the Disney Skyliner station with two gondolas on the line. Of course, if you’d like to see more on the Disney Skyliner gondola system with gondolas moving on the line, you can check out some of our earlier posts. Keep checking back with us for more aerial photos throughout the week!